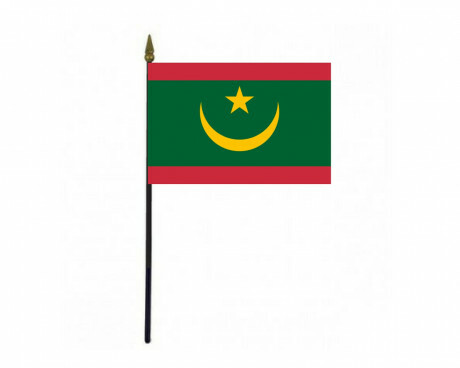 Mauritania Stick Flag - 4x6"
The flag of Mauritania has a simple design, but that design is sufficient to distinguish it from the other flags of the world. It does not contain any of the three most common colors that are used in national flags, and its emblem faces the top of the flag rather than the hoist or fly like those of most other national symbols. The Mauritania flag does have some similarities to the flags of its neighbors, which allows it to show the nation's cultural similarities to the other nations of Africa while also preserving the country's unique identity. 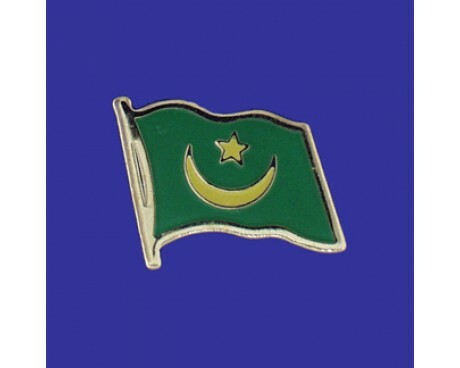 The national flag of Mauritania has a dark green field with a golden star and crescent emblem in the center. The emblem faces towards the top of the flag, unlike the majority of flags which feature similar emblems. The star and crescent are symbols of Islam, which is the most common faith in the nation by a large margin. The green field is also a symbol of Islam. Green and gold are also common symbols of Pan-African identity, which shows solidarity between Mauritania and its neighbors. 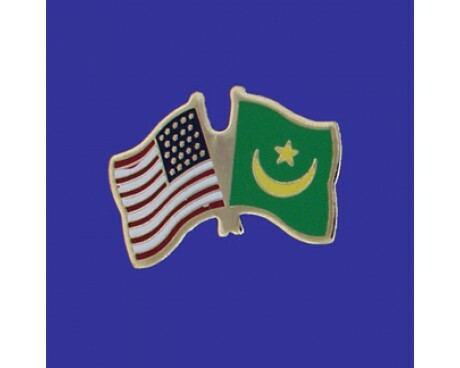 The Mauritanian government does not specify the precise measurements of the star and crescent on the flag, so it is not unusual for their size to vary between flags. 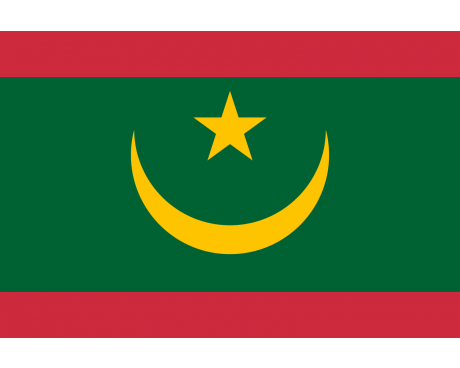 The precise shades of green and gold are also left unspecified in the Mauritanian constitution, which has led to further variance between flags. Mauritania was a colony of France until the second half of the 20th century, so the French flag was used to represent it until that time. The modern flag was formally adopted shortly before the nation gained its independence, in accordance with orders given by Moktar Ould Daddah, the nation's first president. He is the most likely source for the flag's design, which makes the Mauritania flag one of the few national flags whose design can be traced back to a nation's head of state. The flag came into use in 1959, and it has not been changed since then despite the significant political changes that Mauritania has experienced since it gained its independence.